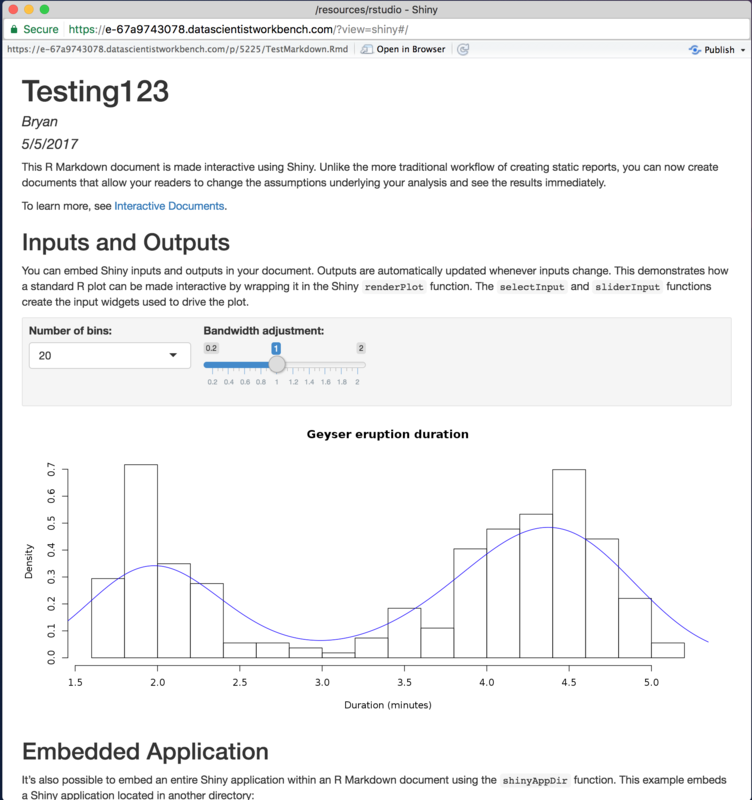 My Shiny app in RStudio closes in a minute – IDEAS? What Should We Do Next? You may experience an issue when starting your Shiny app with R Markdown from the Run Document button where the window will close on it's own after some time. 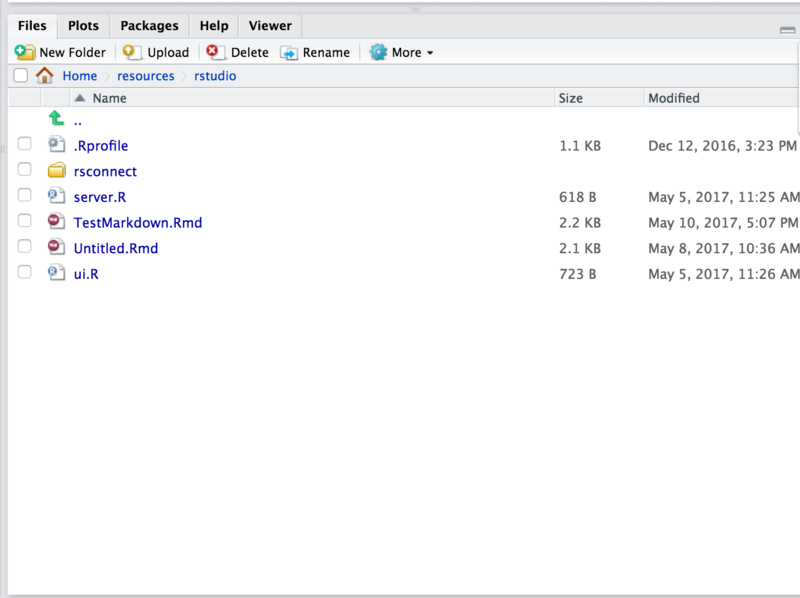 To work around this, navigate to your /resources/rstudio folder to see your *.Rmd files. The above command loads the R Markdown libraries required to run R Markdown files. Knowing the R Markdown file you wish to start, you can initialize it using the following command. You should now see your app open in a new window.